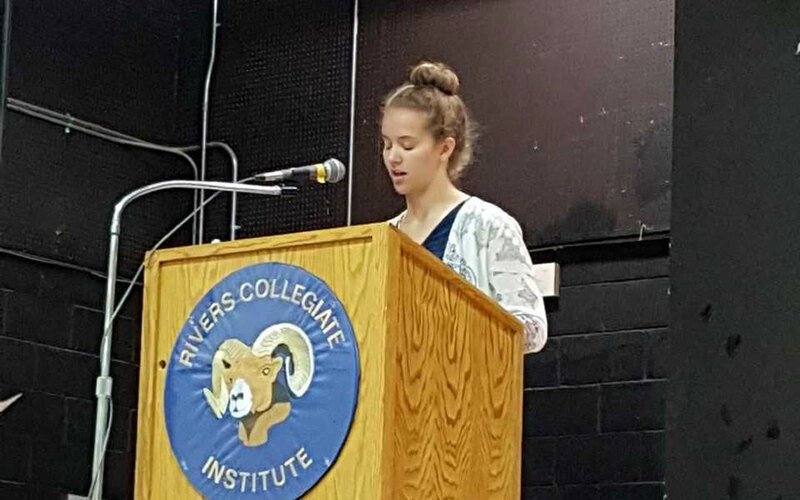 The inaugural “ Youth in Philanthropy Grants” were given out at Rivers Collegiate, by the students of newly formed Youth in Philanthropy Committee. This was a project started between the Thomas Sill Foundation and the Rivers and Area Community Foundation to engage youth in “their” community. Mr. Klassen and Mrs. Maxwell were the collegiate leaders with Michelle McFadden and Donna Falkevitch as the leaders from the Rivers and Area Community Foundation. Prairie Crocus Library – The grant will be used to replace and repair any missing books from the Hardy Boys and Nancy Drew Mysteries series. Rivers Police Service Cadet Program – The grant will be used to assist the cadets with the operation of this new program. Riverdale Community Centre – The Riverdale Community Centre requires a speaker system for the entire building and this grant will go towards that. Rivers Wetland Centre of Excellence – The grant will assist in providing flooring for the outdoor classroom, as well as tables and benches for the students. RCI Breakfast/Lunch Program – The grant will be used to supplement the supplies required to continue with this needed program for the students of the school. 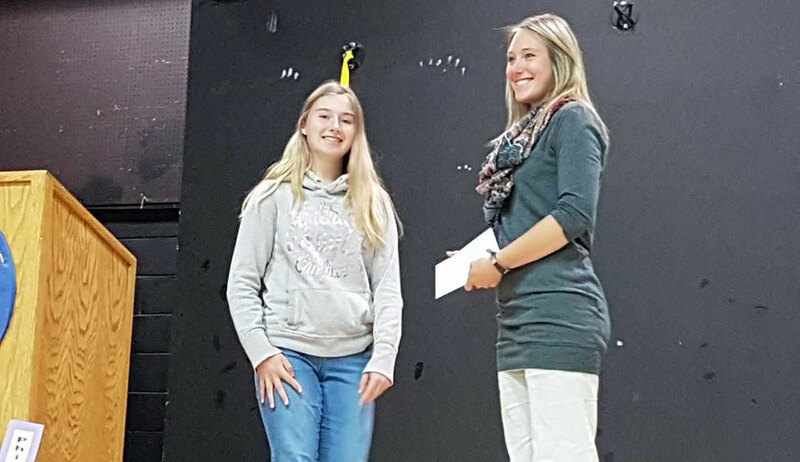 Danielle Frederick presenting a grant to the Riverdale Community Centre Recreation Director Laura Gill.